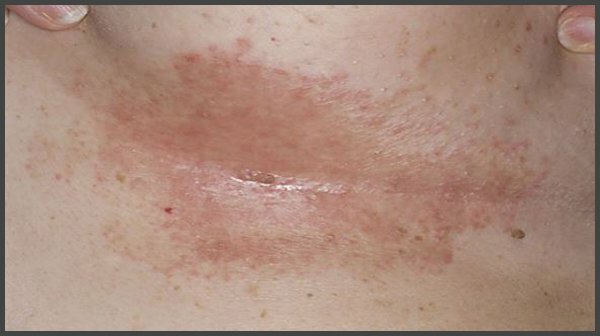 Symptoms of shingles often appear in the folds under the breast, as the picture shows. 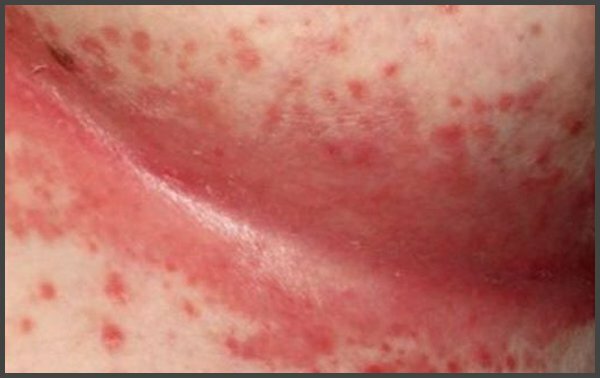 The appearance of rash accompanied by itching and soreness requires an urgent visit to a doctor. 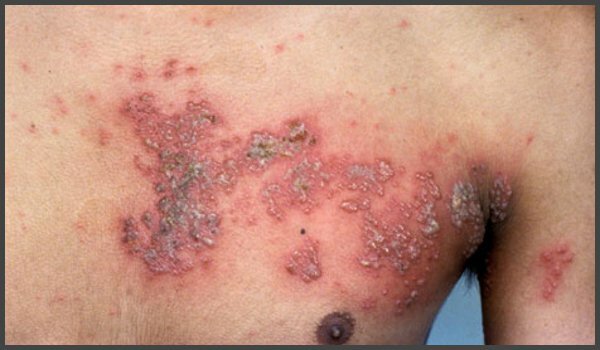 To alleviate the symptoms of the disease it is necessary to ensure proper hygiene of the affected areas, which will also help to avoid secondary infection and reduce discomfort.